Luker, Rose Sylvia, age 70, passed away unexpectedly on October 11, 2018 at 4:55am at Cape Regional Hospital in Cape May Court House, NJ. She was born in Ocean City, NJ on June 27, 1948. She resided at Oceania Nursing Home on Rt 9 in CMCH. Her late parents were Earl and Mary Lashley from Seaville, NJ. Her late husband was Louis Weber Luker. She lived, loved and took care of many people. She single handedly took care of her mother and her husband at the same time of them both being diagnosed with cancer. She then helped take care of Anne Porter, who owned her own mom & pop store on Route 50, which is now a bike store. She took after her mother, who had a heart of gold, who became a nurse, just so she could take care of her husband Earl until he passed for diabetes. After her mom and husband passed, she went back to work and then Anne Porter asked her for help, she keep both jobs, running back and forth from Ocean City working as chambermaid to Anne Porters store in Tuckahoe. Loved and lived with Jesse Horton in Petersburg, after Jesse passed away from heart condition, she loved and lived with Tommy Hyson Sr., he also passed away from cancer, then moved in with her daughter and son in law and great grandson Zack Melini, where she took the time with him, just like his father (Louis Coleman Jr) teaching him his ABC’s, playing board games, helping with household chores, etc. She lived with them for 9 years then she moved to Oceana Nursing Home #1 to be near her 2 sons and their families and #2 thought she would get better medical attention #3 she didn’t want her daughter going through the heartbreaking agony of watching her get worse and fading away. She loved her family and friends, music, westerns, reading, casinos, taking walks, gardening, animals, and watching humming birds. She is survived by her sons Louis Luker Sr and Charles Luker, daughter Rose Melini, 2 brothers Butch Lashley and Frank Lashley and 2 sisters Edna Hayes and Jaci Lashley, 9 grandkids and 18 great-grandkids. 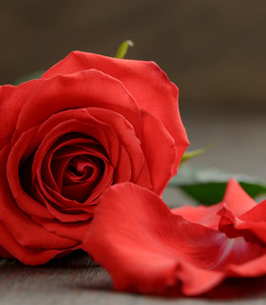 To send flowers to the family of Rose S Luker (Lashley), please visit our Heartfelt Sympathies Store.